For about a year I was a visual designer for a large monthly subscription box. In that year I learned a lot about this industry, and how much work goes into each and every box. If you’re clueless as to what I’m talking about, a subscription box is a box of goodies that is mailed out to subscribers monthly or quarterly. Some of the first notable and largely popular boxes were for beauty, such as Birchbox, but were followed after by large followings for other categories, such as BarkBox for your dog! 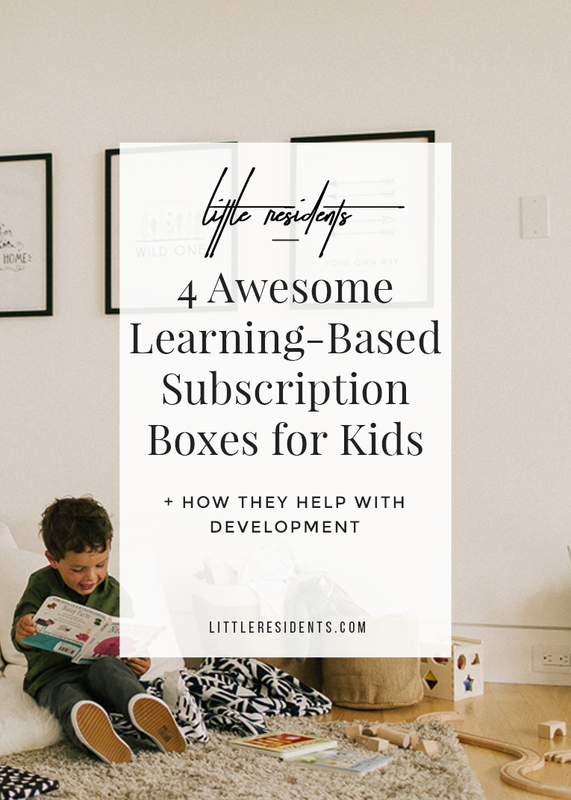 One of my favorite types are learning-based subscription boxes for kids! Here at Little Residents we put a big focus on children’s growth and development. These boxes are thought out by teams with those two important factors in mind. Regular toys are great, but these curated activities and learning-based items are even better! Keep reading to learn more about the brands that I think are creating awesome boxes, and keeping them coming! Lillypost sends beautiful children’s books and other goodies to your door! Each month, tiny fingers will eagerly open hand-wrapped packages and discover carefully curated books, a lovely little note, and stickers for fun! We offer two options so you can choose the box that best suits the age of your child. Get incredible value on brand new books! Hoppi Box is a quarterly toy subscription company that delivers an expert-curated assortment of high quality toys that support your little one’s development, curiosity and imagination. Each box is especially tailored to your baby’s age and developmental milestone. Kiwi Crate was created to celebrate kids’ natural creativity and curiosity. They aim to make it fun, easy, and delightful to spend time building, exploring and creating together. Since its inception, the Kiwi Crate team has grown and added creative parents who dream up the projects, valued experts who review them, and a community of kid testers who keeps them on their toes and ensures the projects are fun and engaging. 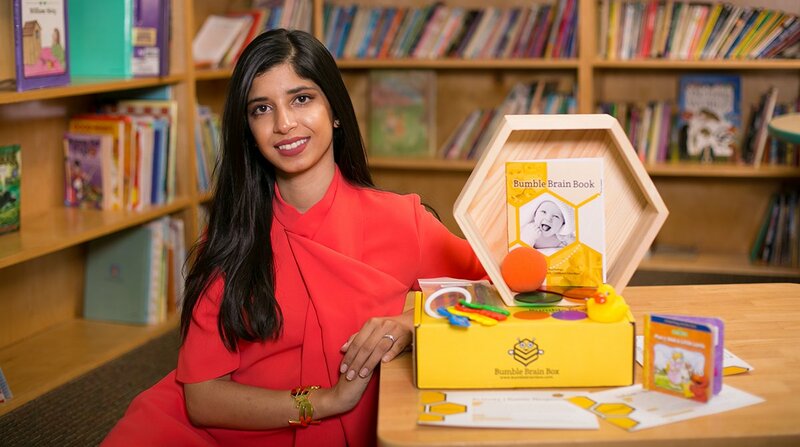 What are some of your favorite learning-based subscription boxes for kids or babies?